F.S.O.A. (Fifty Shades of Anything) the new E.P. 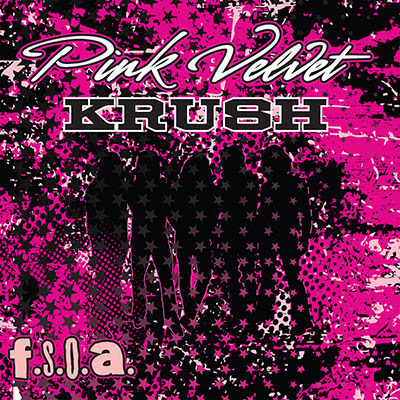 by Long Island rockers PINK VELVET KRUSH is set for release later this month on November 25th. The project was recorded last month at Red V Studios in New York with producer Vic Rivera (Adrian Gale, Poley/Rivera). Rivera also engineered, mixed and contributed backing vocals on the project. Bill Leverty (Firehouse) will handle the mastering at Leverty Sound in Virginia. F.S.O.A. contains five tracks of which the track F.S.O.A. was released as an advanced single last month. The track can be heard at this location. This entry was posted on November 4, 2014 at 4:52 pm and is filed under Hard Rock, hard rock bands, Heavy Metal, Music, music news, rock music, rock music news with tags Hard Rock, hard rock albums 2014, metal odyssey, pink velvet krush. You can follow any responses to this entry through the RSS 2.0 feed. You can leave a response, or trackback from your own site.